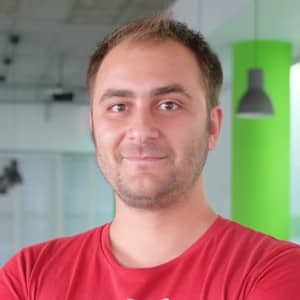 Petyo Dimitrov is a software engineer with 10 years of working experience in various projects for international clients. Currently, he is a Software Architect at Musala Soft. 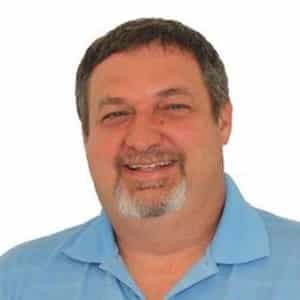 His professional focus is in Java, Enterprise Application and Integration technologies, RESTful and XML Web Services and Service Oriented Architectures. He also enjoys sharing his experience and new technologies he is learning with colleagues at work, students at Technical University – Sofia and on different IT conferences in Bulgaria. I have been working in the enterprise Java field for a while now and periodically friends and colleagues ask me for help and advice. Over time I have collected several of their questions and would like to share them together with my view and experience on the subject. Questions vary from how to choose between popular Java frameworks, benefits and drawbacks of using ORM, designing REST APIs, performance considerations, etc. Some of them are specific for the Java field, while others are general topics for enterprise applications. 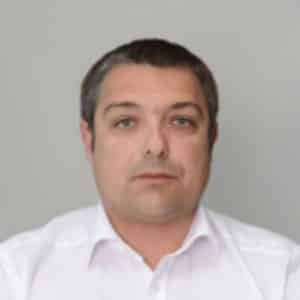 Radi Palazov is Director, Regional Delivery Center Bulgaria, Europe Commercial Delivery within DXC Technology. In this position, Radi manages over 1500 multi-technology professionals located in Sofia and Varna, delivering services globally to over 200 clients in Cloud, Workload, Platforms & ITO, Workplace & Mobility, Application Services, Cross Offering, Enterprise & Cloud Apps, Big Data & Analytics. In addition, Radi also acts as Cloud, Workload, Platforms & ITO Lead for Europe. Prior to this, Radi was EU Restricted Build Center Leader in Project Delivery organization for Infrastructure Technology Outsourcing (ITO), within HPE’s Enterprise Services. In this role, Radi was accountable for delivering project portfolio services for EU Restricted business, from small, add-on requests, up through large transitions and transformations. 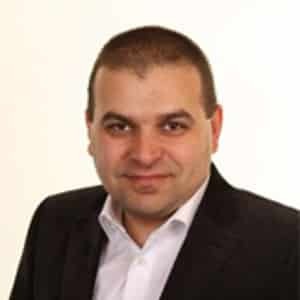 Further back, Radi was the head of Project Delivery in Sofia, leading a team of ~400 highly skilled specialists who delivered services in the Datacenter, Workplace, Project & Program Management domains. Back in time, Radi was the person who set up successfully the Network Services Tower in Sofia, part of the Global Delivery Center Bulgaria. Radi brings 20+ years of experience in the field of IT. He holds multiple excellence awards for mature leadership and significant contribution to the strategic development of the Sofia ITO organization. 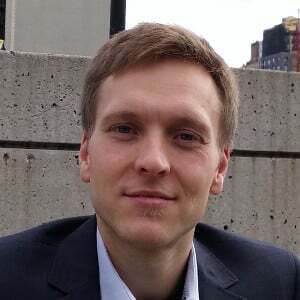 Mr. Palazov has a master’s degree in Computer and Information Sciences, and a diploma in Mathematics. Daniela Kolarova is a System architect at DXC Technology with more than 13 years experience with Java. 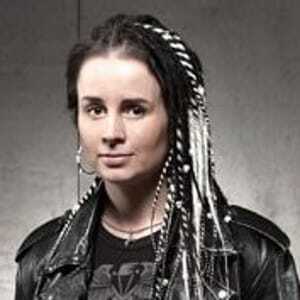 She has worked on many international projects using Core Java, Java EE, Spring. 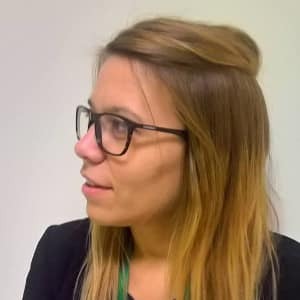 Because of her interests in AI she worked on scientific projects at the Bulgarian Academy of Sciences and at Plovdiv University and did some presentations on AI conferences and a Java conference this years. 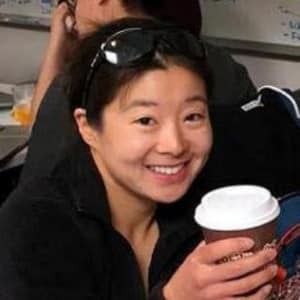 She is a also a DZone Java and DZone AI contributor. Daniela Kolarova graduated “Informatics” at the Faculty of Mathematics and Informatics at Plovdiv University “Paisij Hilendarski“. To Mock or To Stub? How to choose the right Design and Testing Approach? The topic covers best practices and common mistakes developers experience while designing code and corresponding tests taking into account TDD approaches. 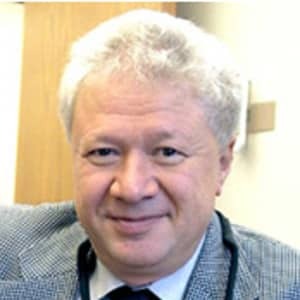 Petar Stanchev is currently Professor at Kettering University, Flint, Michigan, USA and Professor and Doctor of Mathematical Sciences at the Institute of Mathematics and Informatics at the Bulgarian Academy of Sciences. He has published 2 books, more than 200 chapters in monographs, magazines and conferences, over 200 conference papers and seminars. 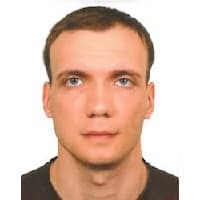 His research interests are in the fields of semantics, image processing, multimedia databases, databases, information systems, expert systems, fuzzy sets and systems, decision making, e-commerce, web technologies, computer games. 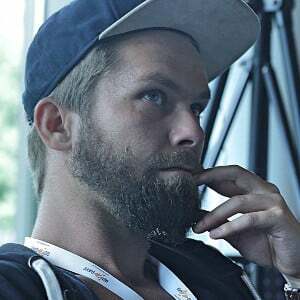 He is currently editor-in-chief of two international magazines and a member of the editorial staff of several magazines. He is the Bulgarian representative in the European Commission’s OpenAIRE2020 project. He is the author of the first programming book in Bulgaria “I Program at Nine Years”. More details about him are on his page https://paws.kettering.edu/~pstanche/ . 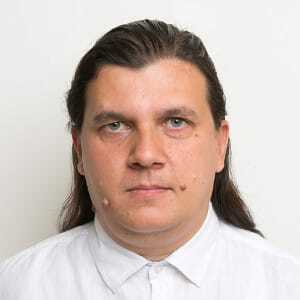 Denis Danov is full-stack developer and dev lead at Dreamix Ltd. 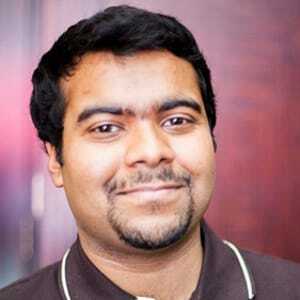 He has 5+ years of experience in software engineering, research and development. 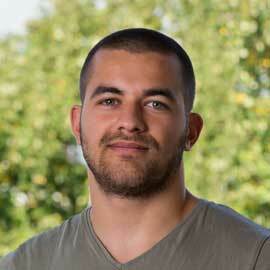 Denis has a Bachelor degree in Software Engineering from Sofia University and Masters degree in Embedded Systems. He has worked with many teams located all around the world to deliver successful products for international companies. The presentation will introduce the audience to the microservice architecture and how it is different from a monolithic one. It will focus on the different components that are necessary for a microservice architecture such as discovery service, configuration service, api gateway and others. For each one of the components will be highlighted why they are important for this type of architecture and how to implement them with Spring Boot and Netflix stack. Long time IBM Java developer, leader and evangelist. I been working on IBM Java SDKs and JVMs since Java was less than 1. Also had time to work on other things including representing IBM on various JSRs, being a committer on various open source projects including ones at Apache, Eclipse and OpenJDK. Also member of the Adopt OpenJDK group championing community involement in OpenJDK. A seasoned speaker and regular presenter at JavaOne and other conferences on technical and software engineering topics. Java is everywhere. According to Oracle it’s on 3 billion devices and counting. We also know that Java is one of the most popular vehicles for delivering malware. But that’s just the plugin right? Well maybe not. Java on the server can be just at risk as the client. In this talk we’ll cover all aspects of Java Vulnerabilities. We’ll explain why Java has this dubious reputation, what’s being done to address the issues and what you have to do to reduce your exposure. You’ll learn about Java vulnerabilities in general: how they are reported, managed and fixed as well as learning about the specifics of attack vectors and just what a ‘vulnerability’ actually is. With the continuing increase in cybercrime it’s time you knew how to defend your code. With examples and code this talk will help you become more effective in tacking security issues in Java. Is the future of Java cloudy? Java – it’s on billions of devices. We think it powers the world. Others disagree. In this talk we’ll examine a few of the reasons why some developers believe Java is being left behind by younger (or at least different) programming languages. We’ll show where the claims make sense and debunk some of the more outrageous slander. We know the future of Java includes a more polyglot world so we’ll help you understand with practical advice where Java shines today and where you might be better using something else. We’ll also cover the challenges that all runtimes have in the new era of Cloud and how the Java community is leading the way in evolving Java into becoming the Cloud runtime of choice. This talk will help you become more informed when dealing with those inevitable language cage fights around the water cooler. You’ll be able to refute the fake news and replace it with clear facts. Vote for Java – you know it makes sense. 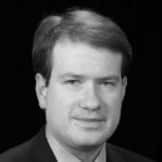 Doychin Bondzhev has over 25 years of experience in the software and consultancy industries. For the last 17 years he is establishing his own business – dSoft-Bulgaria. During that time he utilized different technologies including CDI, EJB, Web Services, Swing, JavaFX, JSF, JAX-RS, JMS and also different databases and platforms. He used these technologies for business, banking, process control and other types of projects. 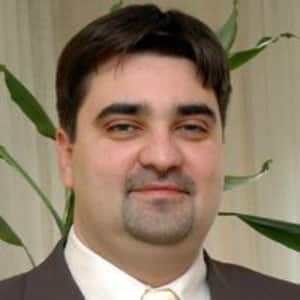 Prior dSoft-Bulgaria, he was a senior developer at AtoZed Software, responsible for maintaining and developing IntraWeb for Win32, .NET and Java. He has a masters degree in computer science from Technical University, Sofia branch Plovdiv. Fed up of writing getters and setters? Or opening a big class and trying to find the important stuff inside, but feeling lost in the forest of boilerplate? Project Lombok is an open source project that tries to help developers to get rid of as much as possible of that. It presents a set of annotations for different purposes. For example you can annotate your class/field with @Getter and lombok will generate for you getters for all your fields/field. @EqualsAndHashCode will help you by generating code for your equals and hashCode. And there are other annotations that help with other boring tasks. In this presentation I will demonstrate how easy is to reduce the amount of code you have to write for some simple tasks using annotations provided by Project Lombok. I will explain how exactly works this technology. I will demonstrate how to add support for your annotated code in your favorite IDE so that you be able to use code completion and call methods that are not actually there in your source code. 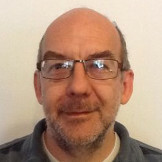 Graham is an IBM Senior Technical Staff Member and WebSphere Applications Server Developer Advocacy Lead based at IBM’s R&D Laboratory in Hursley, UK. He takes a keen interest in emerging technologies and practices and in particular programming models. 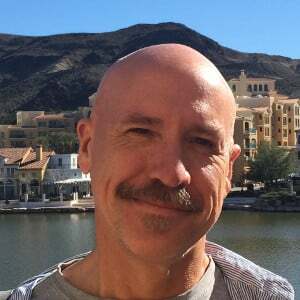 His past exploits include establishing and contributing to open source projects at PHP and Apache and participation in, and leading, industry standards at OASIS and the OSGi Alliance. Open Liberty is a newly Open Sourced, EPL licensed, Java application server. It supports the full Java EE and MicroProfile programming models and its lightweight, composable design makes it the ideal runtime for Cloud Native and Microservice-based applications. With the aid of demos, this session with take you through a first look at Open Liberty. Where to get started, core concepts, capabilities, how to install, configure, deploy, and more. 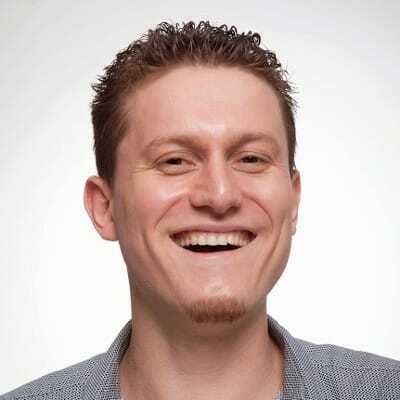 Cosmin Rentea is a software engineer and trainer. His main interest lies in using Big Data technologies for innovative solutions, and his expertise is mainly in scalable backends, JVM, and microservices areas. 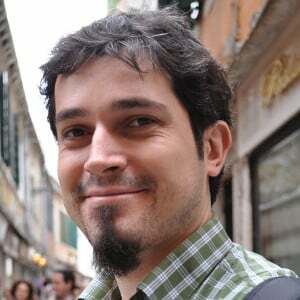 He has an active presence in Bucharest JUG, local conferences, and workshops. 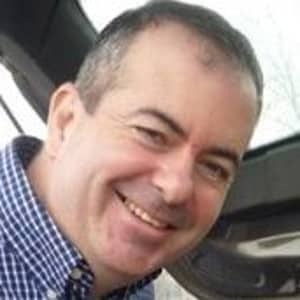 He contributed to Big Data systems for digital marketing, enterprise solutions for large retail companies, and to Java and Go open-source projects. Feature flags (a.k.a. feature toggles) are a set of patterns that enable dev-teams to deliver features to users rapidly and safely. 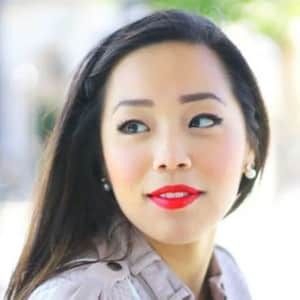 This talk leads you on a journey with a dev team as they adopt feature flags, covering what they are, why they’re helpful, and how to use them successfully. Along the way, you’ll discover that feature-management covers a broader set of use cases than you might initially think. We’ll see how different types of toggles can be categorized and learn why it’s important to manage the various types of toggles in different ways, even if they share a common underlying implementation. We will discuss different ways to store toggle configuration and enabling strategies, and how to prevent them from getting out of control. As a practical demonstration, a real-life Java web application using an open-source solution (Togglz) will showcase how feature flags were employed while transitioning between its development stages. Finally we’ll share best practices from the industry and tips on how to succeed with feature flags in the age of microservices. How well tested is your system? How do you measure it? Code coverage can give you an answer, however how well are tests actually written, and… can we trust them? As a developer: How do you know that even the smallest change to the code will make at least a test fail? Mutation testing is a method to check the quality of your unit tests and show more reasonable and useful code coverage reports. This session will describe the main idea and concepts of mutation testing, and some technical means to implement it in Java/JVM. Finally, a live example will follow, with the use of PIT Mutation Testing framework – first illustrating the concepts, and then showing results of testing a more complex Java web application. Performance Monitoring tools like Performance Co-Pilot (PCP) existed almost longer than the World Wide Web. It was developed in the early 90s by SGI. Parts were made available open source from 2000 on, which led to a further spread of the tool. In recent years an active community formed and a variety of new features and enhancements were added. PCP is now part of Red Hat and SuSE Linux Enterprise editions and included in many other Linux distributions. Versions for other Unix variants, OS X and Windows also exist. This session compares popular Open Source Monitoring Tools like Performance Co-Pilot, StatsD, Dropwizard Metrics, Prometeus and MicroProfile Metrics. How they each support Containers or Virtualization, share data with IT monitoring systems like Nagios or Zabbix, or process analyze and visualize it via Carbon, Graphite or Grafana/ElasticSerch. This session will give you a brief overview of how Tenkiv and Nexus Brain use Kotlin and Physikal/JSR 363 to calculate the optimal usage of alternate energy sources and control solar power systems used for making clean water anywhere from Flint Michigan to Afghanistan. 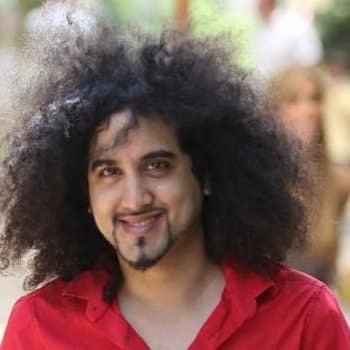 Wajdi Ben Rabah is a computer engineer specializing in mobile technologies (native and hybrid) and parallel realities. He has published articles around these subjects either on blogs or in print magazines. He was also a speaker at many international events. 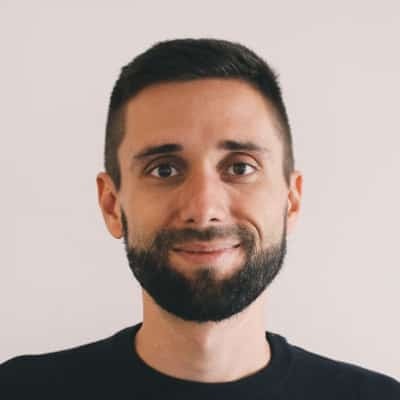 His main goal is to push the digital world forward via contributions on open source projects or via training sessions, workshops, conferences and meetups. Kotlin came out as a result of pragmatic efforts, aimed to target problems encountered by developers during real-world tasks. It is an open-source industrial-strength language designed by JetBrains. Thanks to “Full Java interoperability” it can blend easily in your Java projects. It means, from the day one you can start taking advantage of, the newly introduced language leveraging your java knowledge, use existing libraries and gradually evolve your code base to migrate to Kotlin. In this talk, we will take a code-centric approach on how to get started with Kotlin; take a look on various features such as: null safety, smart cast, extension functions, data classes, let, etc. in order to improve code readability and maintainability. We will also decompile some Kotlin code to get better understanding of what happens under the hood. Last but not the least, we will build a demo application in Kotlin and backed via a spring-boot. 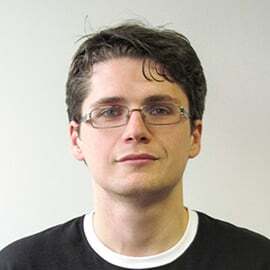 Andrzej Czarny is a Senior Software Engineer at Ocado Technology. His work is mostly focused on real time performance of warehouse control systems. 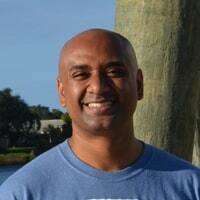 He is involved in creating testing frameworks and Continuous Integrations for multiple teams. His main area of expertise is Java and concurrency. Java Memory Model is an interesting area of multi-thread programming. It describes how threads interact through memory and what behaviours are allowed in concurrent execution. Most of java developers are familiar with mutual exclusion and synchronized keyword but sometimes we forget that beside mutual exclusion we also have to care about memory visibility. The talk will introduce number of examples to help understand JMM. It will use OpenJDK Java Concurrency Stress tests framework (JCStress) to validate the results. It’s been 15 years since the Agile Manifesto was signed and several methodologies were raised ever since. There is almost no developer nowdays that haven’t adopted at least one of the Agile principles and uses them in everyday work or even private life. Some has even done improvised versions which work according their needs. The question that’s been around these past years is if the Agile is old enough to become past and what’s the next big thing, is it a time to call it Post-Agilit period and what that means. What has or needs to change in order to abandon the old and become the Post Agilit followers. Lots of teams already claim themselves as Post-Agility pioneers and some new ideas of methodologies have been introduced. I’ll try to bring an overview of some of them and bring you some thoughts that might help answering the above questions. Dr. Pavlin Dobrev is a Research and Development Manager at Bosch Software Innovations. The company owned by Bosch is focused on developing software for the Internet of Things (IoT). He is in charge of the entire support of ISO 9001, ISO 20000 and ISO 27001 at Bosch Software Innovations, as well as various research and customer projects. Dr. Dobrev has almost two decades of experience in latest Java technologies, as well as in OSGi and embedded systems. He is an active participant in the OSGi Alliance, Java Community Process and other technical standards groups. He is a member of the Eclipse Foundation and participates in the development of the Eclipse IDE as a committer in the Equinox project. 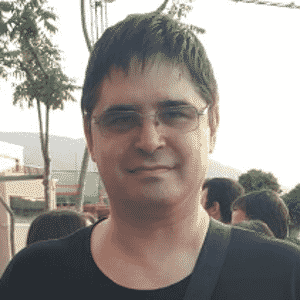 Pavlin Dobrev has a PhD in Computer Systems in the area of Knowledge Management from the Institute for Parallel Processing, Bulgarian Academy of Sciences and holds an MsC in Computer Science from the Faculty of Mathematics and Informatics of Sofia University. He has written many scientific and technical publications and participated as speaker in prestigious international conferences. Bosch Software Innovations’ IoT platform allows you to realize innovative business models in the Internet of Things (IoT) and cross-domain applications. The Bosch IoT Suite is a flexible software platform based on open standards and open source. Its cloud services meet the requirements typical of IoT projects. Software developers can quickly set up prototype applications before implementing them, deploying them within minutes, and operating them at high availability. In addition to the cloud services, the device management capabilities of the Bosch IoT Suite can also be used stand-alone and on premise. For the realization of gateway-based IoT scenarios our market-leading and OSGi-based ProSyst Gateway Software is ready to be used in different domains. Part of the large CXP Group, PAC analyzed 14 companies in the field of IoT device management. The study looked at device management and IoT data integration for the comprehensive and centralized management of connected devices. In particular, it focused on cloud-based device management, the networking of a large number of different devices, and IoT data integration (iPaaS). The PAC analysts rated Bosch Software Innovations as above average in several categories, noting in particular the company’s strong strategic focus on the Internet of Things.In addition, they designated the Bosch IoT Suite’s device management the leader in the European market and awarded it the “Best in Class” seal, thanks in part to the company’s strong references. Both ProSyst Gateway Software and Bosch IoT Suite’s device management are developed from our team in Sofia. Blanko Tadic is highly focused on business development and sales of IBM Bluemix Platform as a Service offering, including wide portfolio of cognitive Watson services, Big Data and predictive analytics services, API integration and security services, data platforms, cloud-native application design, development and publishing, scaleable cloud runtime platforms, internet of Things platform, Design Thinking methodology and prototyping and industry specific solutioning. Creating a complex mobile application with multiple user interactions and asynchronous tasks and events, usually goes hand in hand with long lines of code that are difficult to comprehend and prone to errors. With ReactiveX, however, we can build slick apps for Android faster, easier and with less code. In this session, you will gain a good understanding of ReactiveX functional syntax and implementation. Through a live demo, you’ll also learn hands-on techniques and best practices you can use directly in your real world-projects. Principal expert developer at T-Systems. Over a decade experience mainly in Java Enterprise, but interested in dynamic languages in JVM and experimental features. Open source contributor, blogger. Bulgarian Java User Group co-lead. Frequent conference speaker. jPrime/jProfessionals conference organizer. Java on the GPU. Where are we now? We will take a look at what actually a GPU is. In the beginning we will have a small introduction on how it evolved throughout the years. We will see how it can be utilized in the Java world. There will be a small intro to the world of OpenGL. And then we are going to move to CUDA and OpenCL technologies for general purpose massive computations on regular desktops or cloud machines. We will see what are the advantages and drawbacks, how can we easily use Java to utilize the GPUs in the cloud. Andrew Lombardi is one of a new breed of businessmen: the enlightened entrepreneur. He has been writing code since he was a 5-year old, sitting at his dad’s knee at their Apple II computer. Having such a deep affinity for the computer model, it is no surprise that at the age of 17 he began to delve deeply into the inner workings of the human mind. He became a student of Neuro Linguistic Programming and other mind technologies, and then went on to study metaphysics. He is certified as an NLP Trainer, Master Hypnotherapist and Time Line Therapy practitioner. 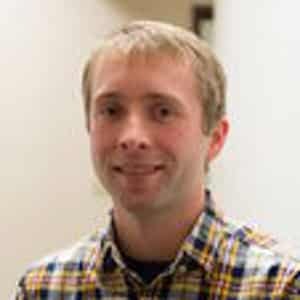 Using all of his accumulated skills, at the age of 24, Andrew began his consulting business, Mystic Coders, LLC. Since the inception of Mystic in 2000, Andrew has been building the business and studying finance and economics as he stays on the cutting edge of computer technology. Terraform has changed the way many organizations deploy to the cloud. With a clear configuration language you can manage countless services (providers in Terraform) and ensure they are kept in sync with your deployment needs. Learn how to build out some of the most common patterns and infrastructures against AWS, and start writing your infrastructure as code today. 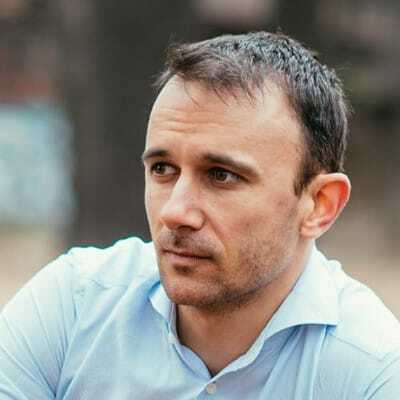 Petar Tahchiev (@ptahchiev) is a founder and CEO of Nemesis Software Ltd., a Bulgarian company which builds next-generation cloud-native e-commerce platform. 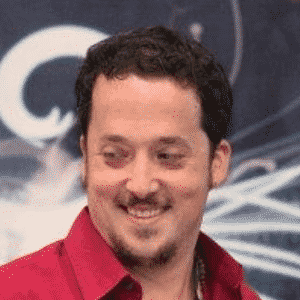 He is a graduated award-winning mathematician from Bulgaria, who once worked as Jakarta Cactus lead developer at the Apache Software Foundation. In 2010 he co-authored the best-selling second edition of “JUnit in Action”. 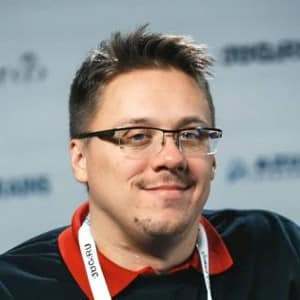 Nowadays he is part of the Maven development team and is a regular speaker at some of the biggest open-source software conferences in the world – ApacheCON, JavaONE, SpringONE2GX, SpringIO, etc. This presentation will focus on the challenges we faced when we tried to document our product – the Nemesis Ecommerce Platform. It will show you the different approaches we tried and why we actually decided to go for Asciidoctor and SpringRESTDocs. This presentation is not only a deep-dive into SpringRESTDocs functionalities, but it will also show you how we automated the whole process of documentation by extending SpringRESTDocs to produce our documentation widgets, specifically the rest-tester widget, how we let Maven pre-process all of that, and how we configured Asciidoctor to produce what is now our current documentation. Radimir Bitsov is a front-end engineer with a passion for web performance, accessibility, and interface animation. He worked for several startups in Sofia and Berlin. Recently, he joined the Project A Ventures team. He loves the open source community and enjoys sharing techy discoveries. In this talk, I would like to demonstrate ways to speed up perceived performance and how we can measure it using the latest RUM (Real User Monitoring) metrics. The specific topics covered in this presentation will be how people sense time, techniques to achieve better performance perception in comparison to the actual expectation, synthetic monitoring vs. RUM, First Paint / First Contentful Paint (FP / FCP) using the Paint Timing API and Time To Interactive (TTI) via PerformanceObserver. Anshuman Bhartiya has been in the IT industry for about 10 years and has had the opportunity to wear multiple hats. Anshuman has been a web developer, cloud consultant, systems engineer and security engineer to name a few. Anshuman has a varied skillset and he likes to tinker with the latest technology coming up with innovative solutions for difficult and challenging problems. Security, Automation and Innovation are some things he is really passionate about and he firmly believes in sharing knowledge and the Open Source community. 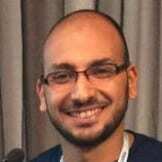 You can find some of Anshuman’s work at his Github here. 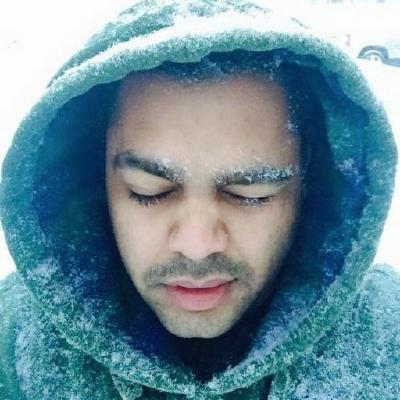 Carlos Sanchez specializes in software automation, from build tools to Continuous Delivery. 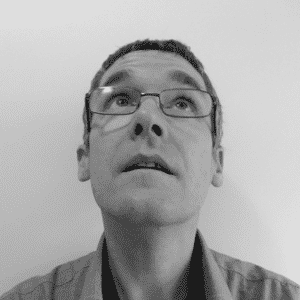 He has spoken at several conferences around the world, including ApacheCON, JavaOne, Fosdem,… Involved in Open Source for more than ten years, he is the author of the Jenkins Kubernetes plugin and a member of the Apache Software Foundation amongst other open source groups, contributing to several projects, such as Jenkins, Apache Maven, or Puppet. He works at CloudBees scaling the Jenkins platform. Learn how to scale your Continuous Integration and Continuous Delivery environment using containers. The Kubernetes project provides a container orchestration solution that greatly simplifies app deployments in large clusters and you can use Jenkins and Kubernetes together to run jobs on-demand. Building and testing is a great use case for containers, both due to the dynamic and isolation aspects, but it increases complexity when scaling to multiple nodes and clusters. Jenkins is an example of an application that can take advantage of Kubernetes technology to run Continuous Integration and Continuous Delivery workloads. Jenkins and Kubernetes can be integrated to transparently use on demand containers to run build agents and jobs, and isolate job execution. It also supports CI/CD-as-code using Jenkins Pipelines and automated deployments to Kubernetes clusters. The presentation will allow a better understanding of how to use Jenkins on Kubernetes for container based, totally dynamic, large scale CI and CD. Oracle Certified Java Expert. Contributes as a speaker on meet-ups, communities and conferences, mentors colleagues, has deep experience in telecom area and likes ham radio beyond programming. Roman is the most concentrated on topics about Spring, JVM performance, security, distributed systems, microservices and docker. Organizer of Lohika’s Java community – weekly meetings with live coding session, new framework investigation, sharing experience. Program committee member of morning@lohika community – monthly meet-up events for developers. During this talk Roman will give a detailed overview of Spring Rest Docs as well as demonstrate practical usages of it within a Spring Boot app with live coding. We will discuss the tradeoffs that developer has if s/he uses swagger as base framework and what benefits spring rest docs provides. 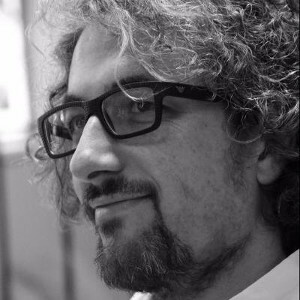 Also, Roman will advise how to migrate your existing swagger’s project documentation into asciidoc format, extend it with tests and start using Spring Rest Docs. After this session you will be ready to apply Spring Rest Docs at any project – a new one from the scratch or on existing one. Spring Rest Docs has provided robust, flexible approach that is called Test Driven Documentation. It extends well known Red-Green-Refactoring from TDD with additional phase of building documentation on the fly. This approach aligns 3 main components in your project – code base, integration tests and documentation and you are absolutely sure that your documentation is always up to date because it is generated from your tests. Furthermore it supports HATEOAS and provides lots of new features that are not available in Swagger. 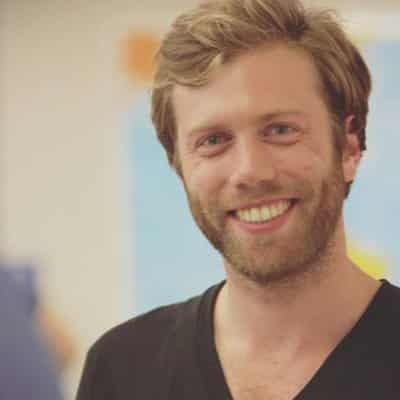 Brian is a Software Engineer at the dutch company Blue4IT. He works mainly consultancy based on al sorts of java based project all over the country. His passion is in Java, (Pure) Functional Programming and Cybersecurity. Besides being an engineer he is a Reservist at the Royal Netherlands Air Force and a Taekwondo Teacher. 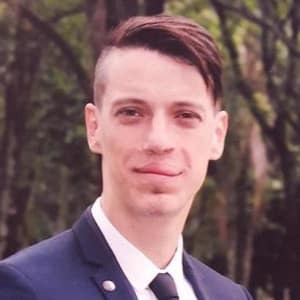 Mladen Jovanovski is a Client Technical Specialist in IBM focused on both traditional data processing technologies and leveraging potential of new Big Data processing technologies. 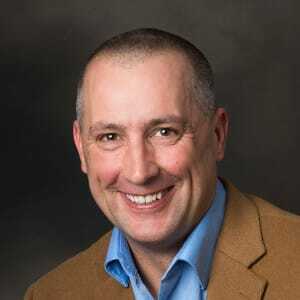 His main areas of expertise are overall solution architecture, data integration, storing data and subsequent data analysis in both on-premise and Cloud environments. IBM Watson Data Platformis an integrated platform of tools, services and data that helps companies accelerate their shift to become data-driven organizations. It is the IBM public cloud foundation designed to support the data and analytics vision of whole enterprises, delivering a fully integrated platform that sustains both analytical investigations and putting insights into active use in production at any scale. It delivers the user experiences that amplify the ability of every data professional to execute on that vision, allowing teams such as data scientists, developers and business analysts to work together across different languages and data models. I’ve been working the last decade building Java enterprise applications for large companies and researching about new and trending topics on how to improve the way the software is made, especially focusing on REST web services and securing them. I’m MVB on Dzone, member of the Oracle JCP JSR 367, Auth0 Ambassador, and I’ve started my speaker career at my native city Medellin 2 years ago, currently, I’m working as a Consultant at Backbase and I’m always sharing thoughts and ideas on my website andrespedes.com, on medium as @andrespedes and on Twitter as well. Anyone can do some code snippets using Spring Boot, but to become a master at it is quite different. 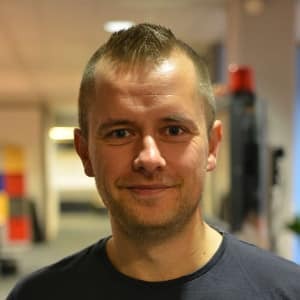 Spring Boot has become a de-facto standard for the Java development community due to out-of-the-box functionalities following a principle “convention over configuration”, this makes that many developers miss some necessary conventions to build more scalable, resilient and secure applications. You’ll learn how to tweak Spring Boot’s configuration, monitor and health check your app, extend Spring Boot and its available plugins, a simple way to secure your application with practical examples. 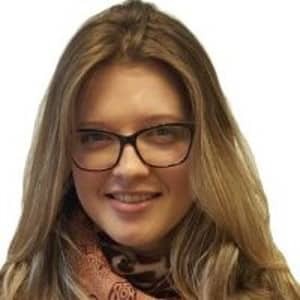 Marina Simakov is a security researcher at Microsoft, with a special interest in network security and authentication protocols. She holds an M.Sc. in computer science, with several published articles, with a main area of expertise in graph theory. Previously spoke at BlueHat IL 2016 and DefCon 2017. 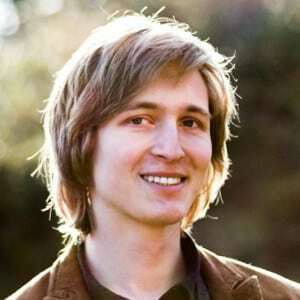 Nikolay Stoitsev is a software engineer at Uber where he is working on distributed systems handling payments. He is also a teaching assistant at Sofia University. He knows both what the CAP theorem is and how to center things with CSS. The shipping containers were introduced around 1830s and since then they play a crucial role in the modern society by providing efficient packaging, storage and transportation. Today we see the same revolution happening in the DevOps world with the adoption of container technologies like Docker. They allow us to package, distribute and run software in a scalable and efficient way. In this talk we’ll see how we can abstract the common problem we solve everyday when building scalable Java APIs with Docker into design patterns to create reusable solutions. We’ll explore the good practices of writing Java applications with Docker. Then we’ll see how each design pattern can be applied in real scenarios that address different concerns that a large system creates. We’ll see some real life implementations of those patterns and how they help us solve problems in scalable systems. By the end of the talk we’ll have a very powerful abstraction to tackle the everyday problems we face in building big and impactful systems. 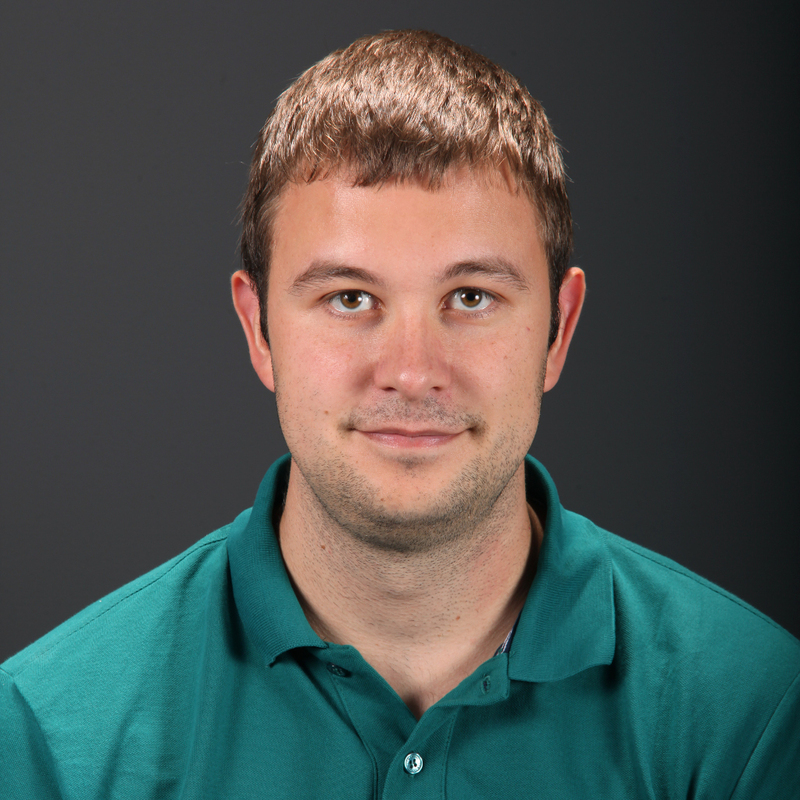 Ryan Cuprak is an CPG & Retail, Formulation R&D Development Senior Manager at Dassault Systèmes, co-authored EJB in Action 2nd Edition from Manning and the NetBeans Certification Guide from McGrall-Hill. He is also president of the Connecticut Java Users Group since 2003. Ryan is a JavaOne Rockstar Presenter. At Dassault Systèmes he works on the ENOVIA Enginuity chemical formulation software and is involved in desktop and backend server development as well as client data migrations. Prior to joining DS, Ryan worked for a distributed computing company, TurboWorx, and also Eastman Kodak’s Molecular imaging Systems group, now part of Burker. 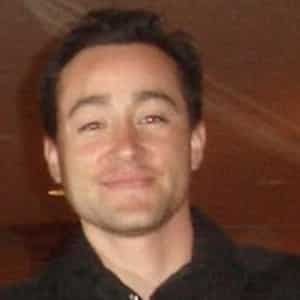 Ryan earned a BS in computer science and biology from Loyola University Chicago. Java 9 has finally shipped! Will your application still work and are you ready for Java 9 modules? Java 9 modules (aka Project Jigsaw) is the biggest fundamental change to the Java runtime. Code that use Oracle/Sun private APIs will break. This session will cover the basics of Java 9 modules and also the current state of tooling. The ramifications to existing and legacy applications will be covered along with the steps you’ll need to take to harness the power of modules and write more maintainable systems. 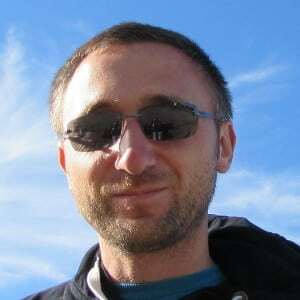 Svetlin Nakov has 15 years technical background as software engineer, software project manager, consultant, trainer, and entrepreneur with rich experience with the .NET and Java EE platforms, information systems, databases, Web development and software engineering. 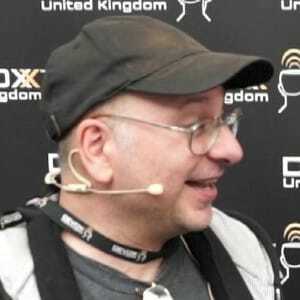 He is author of 7 books on computer programming and software technologies, C# and Java, and tens of technical and scientific publications. Svetlin has been a speaker at hundreds of conferences, seminars, courses and other trainings. He holds a PhD degree in computer science, medals from the International Informatics Olympiads (IOI) and the Bulgarian President’s award “John Atanassoff”. 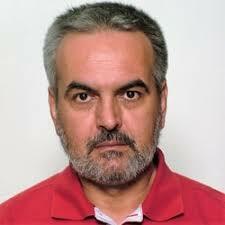 He has been a part-time lecturer in Sofia University, New Bulgarian University and the Technical University of Sofia. Currently Svetlin drives the largest training center for software engineers in Bulgaria – Software University where he teaches young people in computer science, software development and information technologies. I am architect, a technical team leader,and IBM Certified Experienced IT Specialist with 9+ years experience in designing and developing enterprise solution using Oracle, IBM, and Open Source. I also have a solid technical and academic background, strong technical project management experience. I can also coordinate demos for QA team, perform code, design and test plan reviews. Moreover, I hold M.SC In Software Engineering from Egypt, also MIBA in Global Business Management from ESLSCA France. I am also certified as OCEJPA, OCPWCD,OCPJP, OCPSQL/PL, OCASQL/PL, MCP. I Won 2014 Duke’s Choice Awards for eFinance. Furthermore I am an Egyptian Java user group EGJUG member and EGJUG JCP group. My career has taken me to different companies such as eFinance, United Nations, ResalaSoft, Hyundai Construction, and Misr Consultant. Subho Halder is the Co-Founder and CTO at Appknox, a mobile security company that helps developers and companies to build secure mobile application. He looks after the security technologies and the product development to ensure we are always ahead in our game. 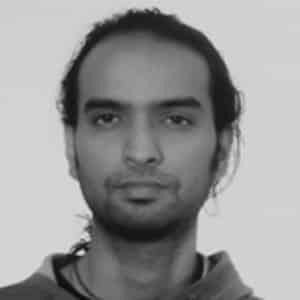 Subho has previously developed AFE (Android Framework for Exploitation) and has done in-depth research and analysis on mobile platforms. He has been also listed multiple number of times in various Hall Of Fame for finding out critical security vulnerabilities in Google, Apple, Facebook, Microsoft, and many more. 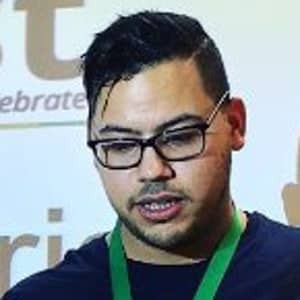 He has presented many talks and conducted workshops at conferences like Black Hat, Defcon, ToorCon, SysCan, ClubHack, NullCon, OWASP AppSec, RSA Conference. 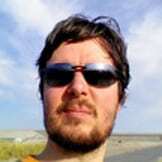 Java Champion and Developer Advocate @okta with a passion for skiing, mtn biking, VWs, & good ?. Driving a ’66 21-window & a ’90 Syncro. Made in Montana. In this session, you’ll learn how to develop APIs with Java 8 and Spring Boot, then deploy them to the cloud. You’ll also learn how to develop apps with the latest version of Angular, make them work offline, and optimize them for production. I’ll show how to do this all with JHipster. JHipster generates an application with Java 8, SQL or NoSQL databases, Spring profiles, Maven or Gradle, Webpack, WebSockets and BrowserSync. It also supports a number of different authentication mechanisms: classic session-based auth, OAuth 2.0, or JWT-based authentication. For production deployments, JHipster includes out-of-the-box support for AWS, Cloud Foundry, Heroku, as well as Docker and Kubernetes. Jack Shirazi is the founder of JavaPerformanceTuning.com and author of Java Performance Tuning (O’Reilly). 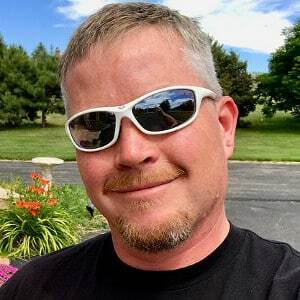 He has published dozens of articles on Java performance related subjects as well as 10,000 performance tips over the years in his monthly newsletter. He was elected a Java Champion in the very first wave of elections in 2005 of people eligible outside Sun. The most common Java performance and memory problems, as reported by developers and operations staff over many surveys, have well understood analysis techniques. Here I’ll cover these with free tools and examples.